A Look Inside The Astonishing Tribe's Headquarters! TAT = Teasers Are Torture. Well, actually TAT = The Astonishing Tribe, the amazing UI design company which Research In Motion acquired back in December 2010. 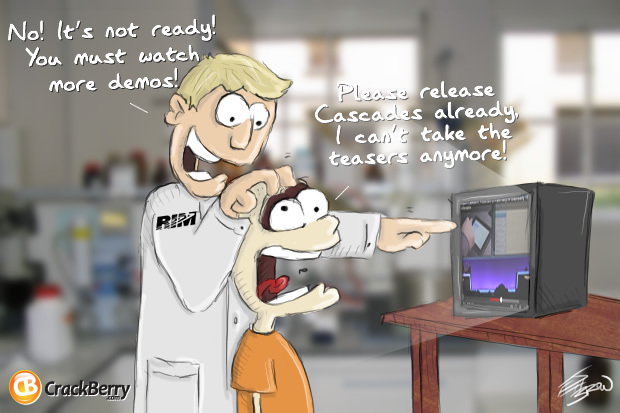 Based out of Malmo, Sweden, the TAT aka RIM Sweden team has been teasing torturing us for over a year now with amazing app and UI demos, the power of which will be put into the hands of developers when TAT's Cascades UI framework is released as part of the BlackBerry 10 Native Development Kit. We're guessing that will hit in a couple months... perhaps a BlackBerry World unveiling?